If you intend to grow plants indoors, one of the first troubles you may face is how you provide your plants with enough lights. Of course, not anything can beat the natural sunlight when it comes to growing. However, technology has made it easy and viable with growing lights for an indoor garden. There are discernible benefits of choosing what kinds of lights, how much, and how long of lightning you expose to plants. 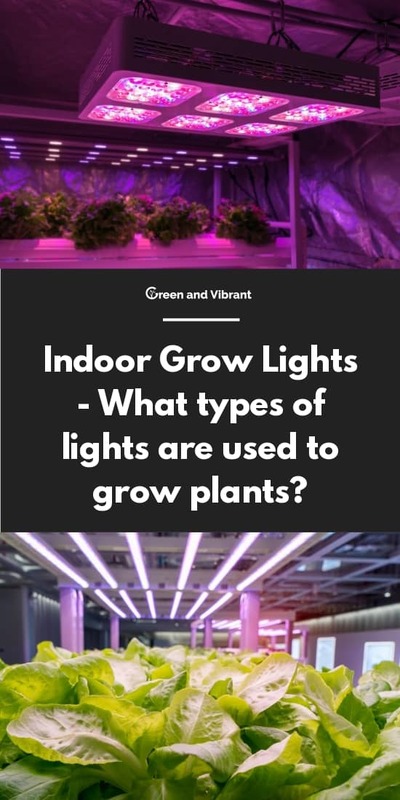 In fact, grow lights have been used widely over the world either in hobbyists' apartments or large-scale greenhouse farms. During this process, plants get light energy through chlorophyll in their leaves. The energy is used to make carbon dioxide (from the air) react with water (absorbed by the roots and transferred to the stem and leaves) to create a sugar called glucose. This sugar is consumed in respiration or transformed into starch, then stored. Oxygen is made as the process' by-product. There are a lot of criteria to help you decide the best grow lights for your indoor garden. We use a parameter called light spectrum to know the wavelength of lights. The spectrum, which is measured in nanometers, is very useful in explaining how light influences on plant growth. For indoor growers, the specific band you should take into account is within 400 - 700 nanometers, also known as Photosynthetically Active Radiation, or PAR. The blue light, ranging from 400 - 490 nanometers, is used during the vegetative and foliage growth phase. The orange-red light, between 590 - 700 nanometers, is used during the flowering and fruiting phase. The green light, from 490 - 580, has little effects on plant growth because by nature plants are green. Their cell chloroplasts absorb blue and red light but skip green as they reflect that color. Intensity is the amount of light that plants are exposed to. It is different depending on the type of light used, the power (watts) of the bulb and the angles/position of your lights. Photoperiod means the duration of lightning you expose to the plants. According to How to Hydroponics, Keith Roberto. Typically, plants grow best under 16-18 hours of light each day. More exposure has not been found to improve plant growth at any rate. Plants that indicate photoperiodism, namely the characteristics that make day length to trigger flowering, should be put under 12-14 hours of lights once it requires flowering. The darkness cycle that follows and plants should be kept in total darkness to form fruit and flowers properly. A timer is used to control the duration. Various kinds of plants may require different light intensity used. For instance, plants residing in the jungles typically don't need as many lights as plants originate from the hot sunny climates areas. Additionally, at different phases, the amount of lights plants need are not the same. Of course, you can consider getting a full-spectrum grow light to make it convenient of all phase growing. This helps you know how many lights, and kinds of lights that give the best of coverage and exposure to your plants. In essence, if lights are placed far away from plants, the amounts of lights plants take, the heat arising will be little. Typically, each square foot of growing area needs 30 - 50 watts. A correct placement of lights in your room is a vital element not to be ignored. There are not one kind of grow light to choose from. All are useful and come with their benefits and downsides. Let's dive into each of them. HID is a kind of bulb that passes electricity through a gas-filled tube. HID remains a popular choice for novice growers whether it is HPS or MH because of their low set up cost. HPS emits light strongly at red and orange end of the light spectrum, which is more suited to plants' flowering stage. Ceramic Metal Halide, or also called Light Emitting Ceramic (LEC) uses ceramic arc tube just like HPSs. CMH is probably a combination of HPS and MH, so CMH has a broader light spectrum range, making it a great single light solution. However, though CMH is more efficient than regular MH lights, it does not give more lights in the red spectrum than HPS. As a result, CMH cannot beat HPS when it comes to the flowering growth stage of plants. You can use three kinds of lights (HPS MH, and CMH) for a full growing phase from the beginning to the harvest, but it is not strongly recommended. Normally start with MH or CMH during the vegetative phase. Then move to HPS during the flowering stage. That would mean if you intend to use HIDs, you should purchase one MH and on HPS bulb type separately because HPS igniter does not fit to MH and conversely. However, you can consider getting a conversion bulb, which let you run HPS bulbs on an MH ballast or an MH bulb on an HPS ballast. Stable and quality yields have been proven over the past. Easy to use and consistent models across suppliers. Unlike LEDs, you have to check what spectrum, the positioning, and what model types suited for plants. Like its name, a fluorescent bulb or tube uses fluorescent to give visible light. It works by passing electrodes positioned on both ends of the bulb. As the electric current moves, the mercury inside the bulb take up energy and produce a short-wave light that causes a phosphor coating inside of the lamp to glow. Fluorescent does not emit as much light as HIDs. So they are often used for seed starting, rooting cuttings, and early to mid-stage plant vegetative phase. Two common types of Fluorescent lights used for indoor plants are the tube-style lights and compact fluorescent lights (CFL). There are many forms of tube-style fluorescent light form, namely the T5, T8 and T12. Among them, the most popular and efficient for growing indoor is the T5. the T5 for growing usually comes with multiple bulbs arranged parallel to each other in a panel. CFLs are the short twisty bulbs, which are commonly seen in every house. When CFLs are invented, they have replaced the old incandescent light bulbs because of their long life expectancy and efficiency. 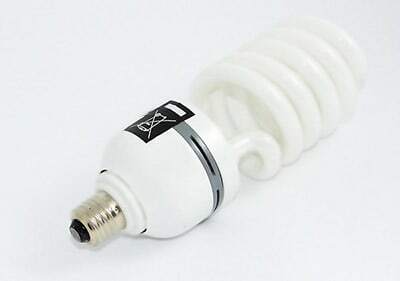 There are my sizes and colors of CFLs that can be used for both daily activities or for growing from 12 watts to as much as 250W. Running cool and can be placed near plants. Fluorescent lights are an efficient cost-saving solution for beginners and are great supplementary bulbs for experienced growers. They are an excellent option for young plants, clones, and vegetative growth phase of plants because the lights are not as strong as HPS or LED high power lights. So that means you use Fluorescent bulbs for all grow phase if your set-ups are small. But if you want a better approach when plants come to the flowering phase, it's better to go with HPS or LED grow lights which bring much higher yields. LED came to the market later compared to other lighting types. It was met with skepticism by home users and as well as growers initially. However, LEDs soon prove its worth by performing efficiently and displaying some discernible unique advantages that other grow light types cannot have. Led grow lights are in popular use nowadays either by hobby growers and commercial greenhouse farm. This is because LEDs are energy-efficient, don't give off much heat, and don't require much maintenance. People can customize the LED diodes to emit a specific light wavelength they want. 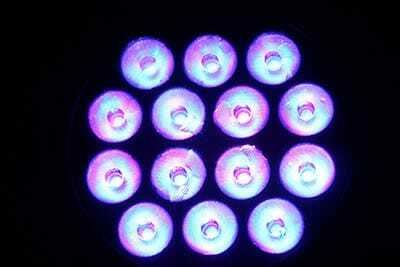 LEDs usually come with a built-in cooling that helps regulate heats around plants. So no bother of ventilation and frequent checking for growers. Little heating gave off. You can place the LEDs close to plants, which grants you great versatility. Better lifespan. 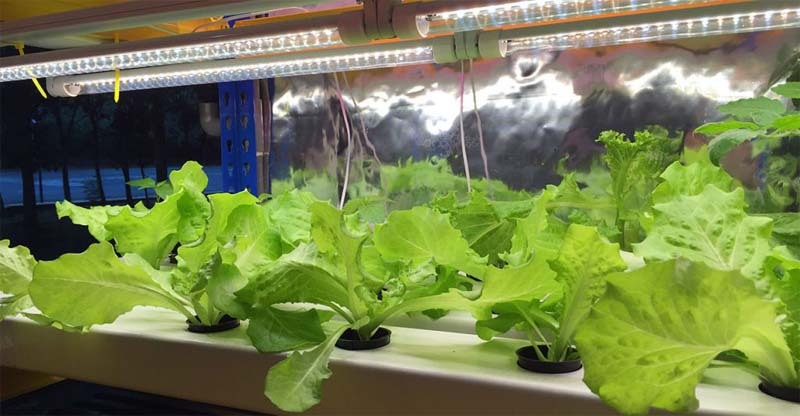 LEDs have an average 50,000 hours of lighting that can last up to 15 years as compared to 10,000 hours of HPs. High initial set-up expense. But in the long run, LEDs do not cost more because of its efficient performance. LEDs need spaces from the plants. Even though the temperature is cool, plants can be burned with too much light. Environment temperature vulnerability. This only happens to places where the temperature is very high (like processing mills). The diodes of LEDs lights will depend on the ambient surrounding temperature for its performance. Too hot and the LED module can burn out. How Much Lightning is Needed? The output of wattage will vary dependent on the light source. However, to give a visual picture of a rough estimate, typically you need a minimum of 30 watts per square foot. But 50 watts each square foot is optimal. Now, calculate the lighting needed for the area you grow. Let's say if you light up a growing space of 8 square feet, you need at least 30 x 8 = 240 watts for the area. The optimal light power is 50 x 8 = 400 watts. Different types of light will produce different wattages. So, a CFL that gives off 400 watts may be equal to 200 watts HPS lights. Room set up, growing style, reflector, surrounding environment may also affect the lighting needed. Be sure to observe plants' growth and adjust the light power respectively. Which is the best grow light for me? Let's make a comparison among the most common lights used for growing. In essence, if your budget is small and you are limited in the growing space, go with CFL bulbs. They are inexpensive, easy to set up and replace. Yet, CFLs still bring decent results which have been proven over the years. 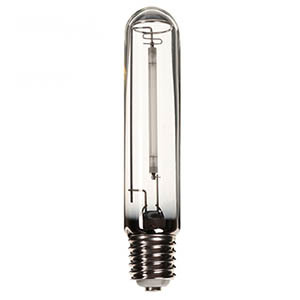 You could also use HPS lights alone or better in combination with MH, CMH or CFL bulbs. They are also very affordable and give reliable results. But since HPS are high in temperature when using, so be ready to cool it. If you are looking for an efficient grow lights device for a long-time use, then LEDs are the excellent option. Their price is high but they make the best of your money with cool operating, highest lifespan, little electricity consuming. And best of all, it produces great yields. I'm a lighting designer and noticed this article stating that fluorescent lamp life of 10,000 hrs. I have a lamp catalog in front of me that states long life fluorescent lamps with a lamp life of 84,000 hrs. and many other linear fluorescent lamps with lamp life of more than 50,000 hrs. not sure why you have 10,000 listed for fluorescent lamps? Hey Perry, thanks for pointing that out. But the 10,000 hours of rated life-span in the article is for CFL bulbs, not all fluorescent lamps. In reality, that number can vary, but I choose the average rated lifespan of CFL. You can also check this study to learn more about this. Also, for Fluorescent lamps, there are long fluorescent tubes, including the T5s, T8s, T12s, but their average lifespan is about 20,000 - 30,000 hours. I haven't heard about any fluorescent lamps which can last up to 84,000 hours. This could be because the manufacturers are exaggerating their products or probably I don't know enough about fluorescent lights yet?